The perfect gift for you know who? Well Proportioned, Unique and Unusual. 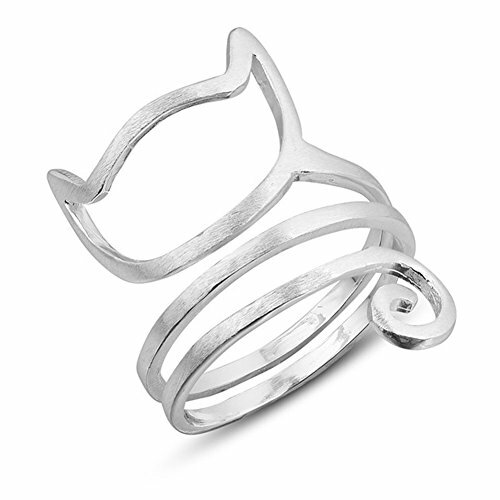 Made of Silver, Good polished , comfortable to wear. Good for daily wear, dress, party. Can also be a gift to your friends, family and lover. 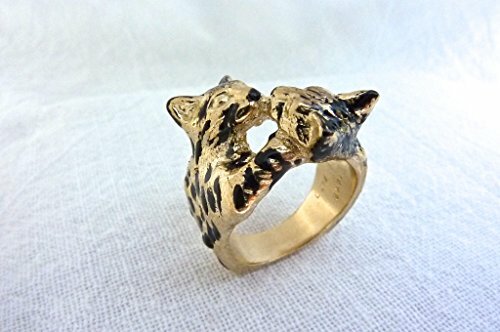 Animal & Flower Nature Style Feature,Inspirational Ring, Graduation gift, Christmas etc. 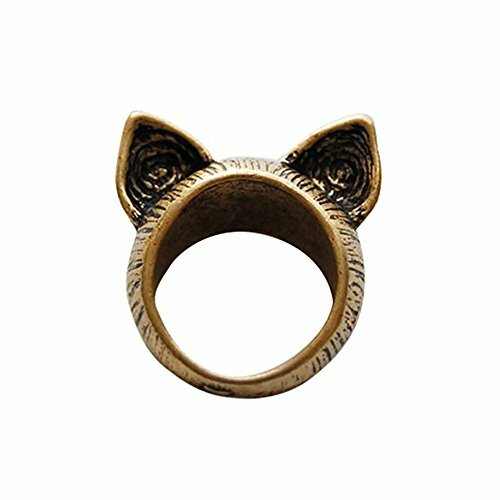 Rings Come with Gift Box. 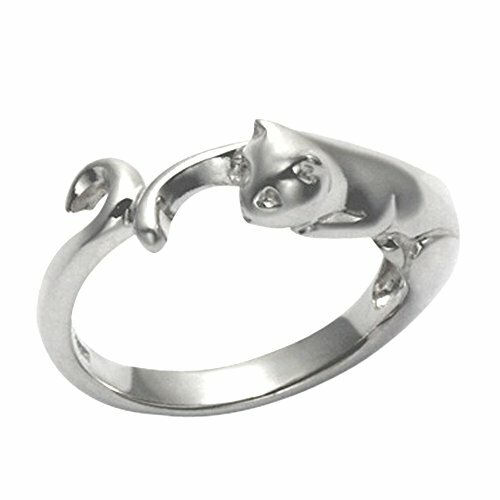 As Lots of clients complainted that the ring is too soft. 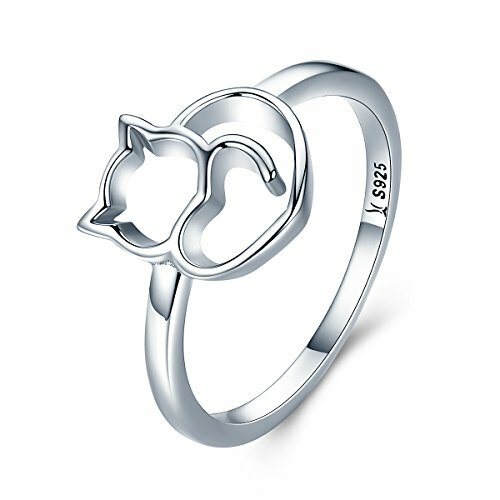 We upated our ring from S:2.4G/ L: 3.15 G to S:3g, L: 4G. And there will be two versions. one is made of sterling silver and another one is made of white copper plated with 925 sterling silver! Copper will be costly friendly and stronger. 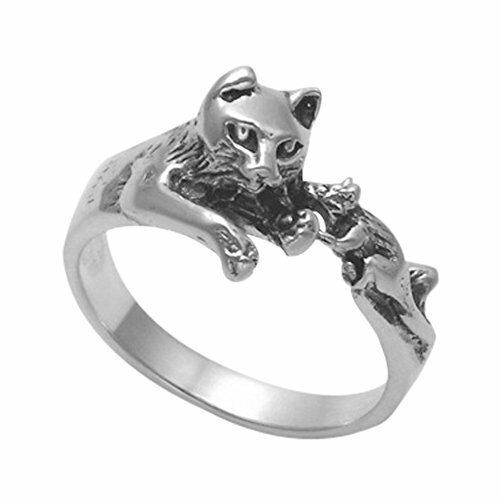 Sterling silver might be softer at first but as time goes on it will bocome harder! We launched both versions for different client's needs. Welome to visit our shop and give us more advice! 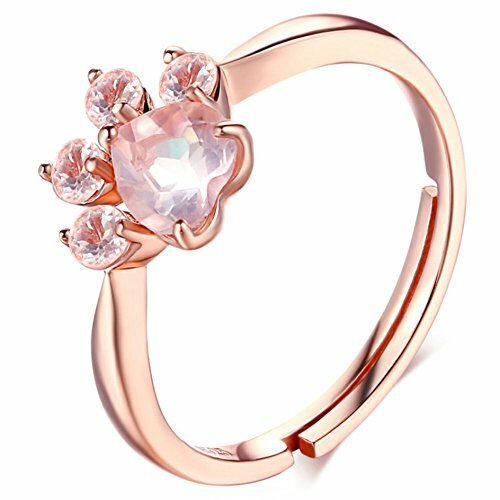 Cute rose crystal ring consist of heart cut,round crystal,heart crystal and rose gold prong setting. 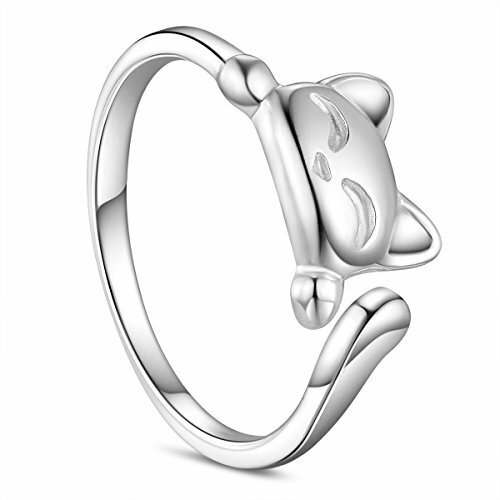 Material: 100% solid 925 sterling silver with rose gold-plated.Hypoallergenic and nickel free,comfortable for sensitive skins. Package: Come in a nice gift box within jewelry polish cloth. Ready for gift giving for daughter, wife, lover, fiance, or friend. Guarantee: Any quality problems, promise free exchange or money back.